The United States of America is one of the few countries where almost every citizen could live comfortably. There are countless opportunities to accrue wealth. The problem is that there are countless ways to spend money. The average American spends $2,900 on entertainment, $4,300 on healthcare, $10,000 on transportation, and $6,800 on food. Given the nature of these negotiable expenses, there is a good chance that you could save a considerable amount of money by making just a few changes to the way you spend money. 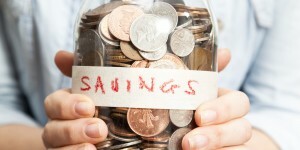 Let’s examine four ways you could save on regular monthly expenses. “Cheaper” does not have to mean “worse.” Many foods and drinks you consume likely have a more cost-effective alternative, or they can be removed completely from your diet. In terms of regular monthly expenses, this means changing your grocery shopping list or creating one to use. You can generally opt for items like store-brand cereals or meats to save around 10 to 20 percent of your monthly grocery shopping bill. If you spend a little extra on spices and meal preparation supplies, you can still enjoy quality food without paying as much for it. Many utilities are moving to a “free” market, while others are already there. This can allow you to choose everything from the most cost-efficient Internet service provider to the cheapest and most reliable electricity provider. You can save a considerable amount on your bills by switching your utility providers are opportune times. Consider your electricity bill. Resources like Electricity Match can help you search for a different electricity provider while ensuring that you have the features you require. This can potentially allow you to save hundreds on your monthly utility bills. Credit card debt is a dangerous beast. It will lie in wait, grow fatter, and eat more of your monthly funds until you have but a few nickels left to your name. The only way to reduce how much you pay towards debt each month is to pay back as much of it as you can. This means living below your means to pay back more while limiting the acquisition of any further debt. When you do reduce your debt, you will find that you have more money to spend and save. Keeping your car maintained is one of the better ways to reduce that sizable cost of transportation. You will find that your car lasts longer, performs better, and exhibits a better fuel economy when you keep it tuned. When you tend to these things, you will find that your car will serve you for a longer period of time before you need a new one. Expenses like gas and oil will become cheaper. Necessary repairs will also tend to be fewer and farther between, which in turn amounts to more money in your pocket. While saving money on your monthly bills can be as easy as switching your electricity provider, other aspects will require constant efforts. You may even need to make a few sacrifices to ensure that you can live a more comfortable life. The reward, however, is well worth any sacrifices you may need to make. You will find that by saving money, you will have far more money to spend than you thought you had.